The health benefits of coconut oil go far beyond its reputation as the best oil to use for frying. Pure coconut oil contains 92% saturated fat, which is enough to scare any health-conscious person. However, the fats in coconut oil are short- and medium-chain fatty acids, which positively affect the body. Don’t let the name fool you—coconut oil is nothing like the trans fats and hydrogenated oils we recommend you stay away from. Those oils are synthesized in a laboratory and are toxic to your body. Coconut oil is all-natural, and it’s extremely healthy for your body and skin. One medium-chain fatty acid in coconut oil, lauric acid, may increase HDL cholesterol. It can also help the body absorb vitamins A, D, E, and K and help fight illness. Coconut oil has many uses in your diet, for your teeth, and on your skin. Here are just a few of the known benefits of coconut oil. Lose a little belly fat. A study published on PubMed showed that women who took two tablespoons of coconut oil each day for four months showed a reduction in abdominal fat. You can eat it straight, add it to coffee, use it to fry with (it withstands high heat), or substitute it for vegetable oil in baking. Your imagination is the only limit. Diabetics must watch what they eat, but like the rest of us, they need some healthy fat every day. Coconut oil’s medium-chain fatty acids aid in glucose tolerance and insulin sensitivity, which may prevent or improve diabetes. Coconut oil has been shown to help upset stomachs and digestive disorders such as irritable bowel syndrome. The oil is also beneficial against yeast and intestinal parasites. The fatty acids in coconut oil include caprylic acid, capric acid, and lauric acid. All three have antiviral and antibacterial properties, which aid the immune system. Lauric acid in particular has been found to help heal viruses such as the flu. Pull the oil through your teeth. Oil pulling is much like using mouthwash. Take about a tablespoon of coconut oil and swish it around in your mouth. As the oil travels, it attracts bacteria and holds it. Because you swish the oil between your teeth, you help clean those tight crevices. The difficult part of oil pulling is the length of time you do it—at least 15 to 20 minutes or long enough for the oil to turn white. At that time, spit it in the trash (not the sink), and rinse. Oil pulling does not replace regular dental care, including brushing and flossing, but it does help keep the mouth clean. Brush with coconut oil toothpaste. Yes, it sounds odd, but you can buy coconut oil toothpaste at some health food stores or online. It’s effective against bacteria that cause cavities, it’s natural with no fluoride, and it’s easy to make if you prefer to add flavor. Some find it difficult to brush with coconut oil toothpaste because it doesn’t foam. It’s easy to get used to. Melt the coconut oil before you get in the shower. After washing hair, apply the oil and comb through to the ends. Finish your shower and rinse. You’ll love how it feels and smells, and it works as a leave-in conditioner after showering. After your shower, massage the oil directly into the skin. Because your skin is still warm and your pores are open, the oil will melt easily and moisturize like nothing you’ve tried before. You may want to apply a second coat to elbows, knees, and feet—anywhere the skin is dry. If you don’t like the coconut scent, add your favorite essential oils. 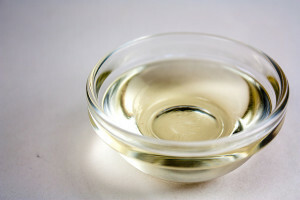 Warm a small amount of coconut oil in the palm of your hand and apply to eyes, lips, or entire face. Wait a moment, and rinse off or wipe dry. Makeup literally vanishes, leaving moisturized skin in its place. Better than cold cream! For best results, use unrefined virgin organic coconut oil. It melts at temperatures above 75 degrees, so don’t be alarmed if you come home from work on a hot day and your oil has melted. Take full advantage of the many health benefits of coconut oil. Use it in places you never thought of. Coconut oil makes a wonderful lip balm and face cream. All you have to do is apply it and let it soak in. It’s safe to use on the thin skin under the eyes. You can also use it to shave your legs and moisturize them in the process. With all the media stories about fat and oil being unhealthy, it’s hard to know which recommendations to follow. Call us with any questions you have or to set up a consultation.